Fujian Cuisine, also called Min Cuisine, originates from South China's Fujian Province. The history of Min Cuisine dates back to 5000 years ago. It consists of three styles, namely Fuzhou style, which is usually tastes light compared with other styles, often with a mixed sweet and sour taste; Western Fujian style, featuring slightly spicy flavoring from mustard and pepper; and Southern Fujian style, which usually tastes spicy and sweet.The cooking techniques of Fujian Cuisine are: pan-frying, deep-frying, boiling, baking, stewing, mixing, sautéing with wine, stewing in gravy, grilling, cooking with red rice wine, simmering, stir-frying, smoking, braising and salting. Among them the most characteristic one is cooking with red rice wine, which includes stir-frying with red rice wine, and baking with red rice wine, quick-frying with red rice wine and deep-frying with red rice wine. The "drunken" (cooked in wine) dishes are prevalent in Fujian Province and very famous throughout China. Needless to say am a foodie, everytime i join a group or a baking challenge i will immediately make the challenge without any delay. This is the first time i delayed baking this Pane Siciliano due to some personnel stuffs. 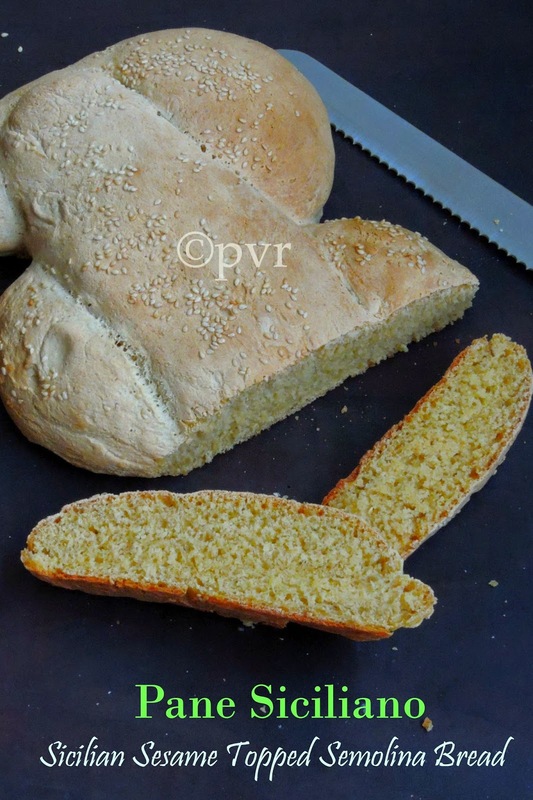 However this Pane siliciano needs atleast two days as you need to make Cresciuta aka the famous Biga.What is unusual about this bread is that it is baked with semolina ( what we know in India as rava/ sooji). In Sicily (and Italy), the semolina they use for this bread is a specific grind of durum wheat called “semola di grano duro rimacinato” or just “rimacinato”, which translates as 'ground again'. 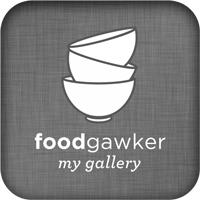 This refers to semolina which is ground once more to break the coarser grain into finer flour. Guernsey is an island which in the English channel, of to the coast of Normandy region of France.The capital of Guernsey is St Peter Port and its official language is English.Gâche is a local dish of Guernsey and its a traditional bread made with raisins, sultanas, mixed peel. Actually Gâche means cake in Guernésiais.However this fruit loaded gâche tastes more like a cake than the bread. 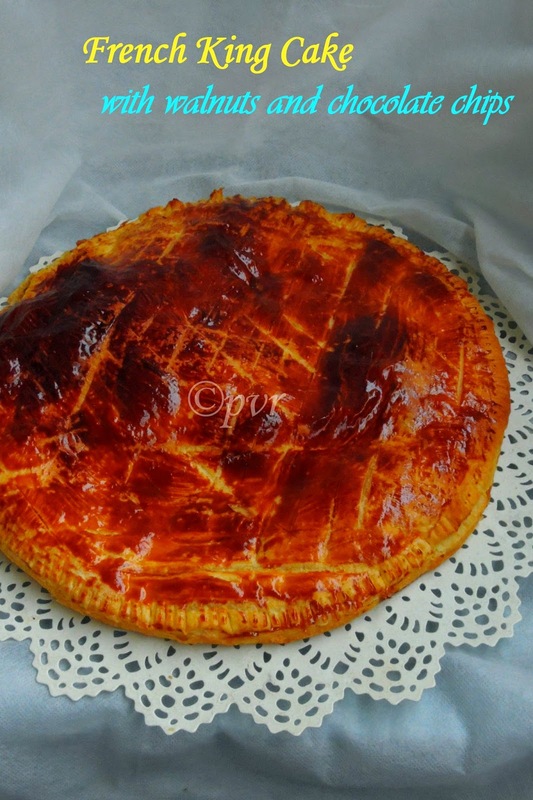 This gâche is often served as a traditional part of afternoon tea in the island. Served often toasted with local butter, this fruit loaf makes an excellent evening tea time snacks. 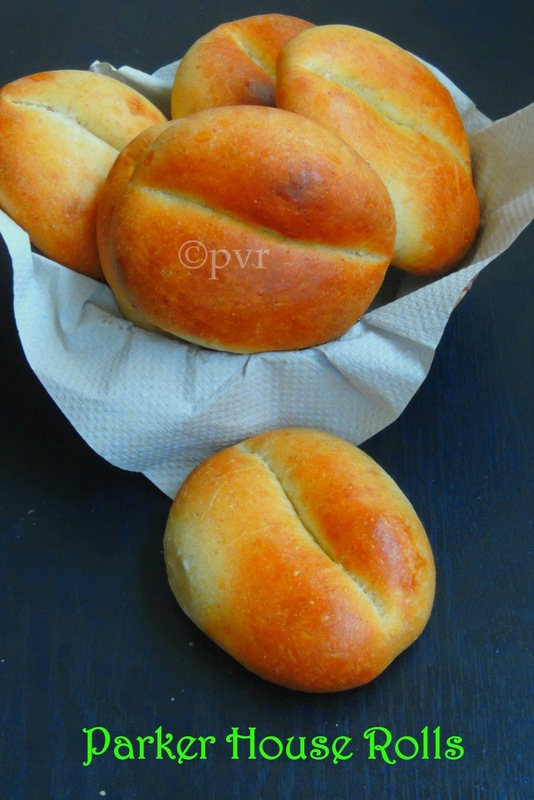 As per wiki, a Parker House roll is a bread roll made by flattening the center of a ball of dough with a rolling pin so that it becomes an oval shape and then folding the oval in half. They are generally quite buttery, soft, and slightly sweet with a crispy shell.They were invented at the Parker House Hotel in Boston, during the 1870s,and are still served there. They are often sold frozen for quick baking by bakeries such as Sister Schubert's. Fannie Farmer gives a recipe for them in her 1896 Boston Cooking-School Cook Book.The story of their creation has several variations, but they all involve an angry pastry cook throwing unfinished rolls into the oven, which resulted in their dented appearance. The recipe for Parker House Rolls first started appearing in cookbooks in the 1880s. Ramadan festival is so special to Muslims all over the world, this festival helps to bring together family and friends. During this occasion , the food that the Muslims eat will be light, nutritious as their meals have loads of fresh fruits , vegetables and halal meats. Many types of food can be prepared specially for this festival. 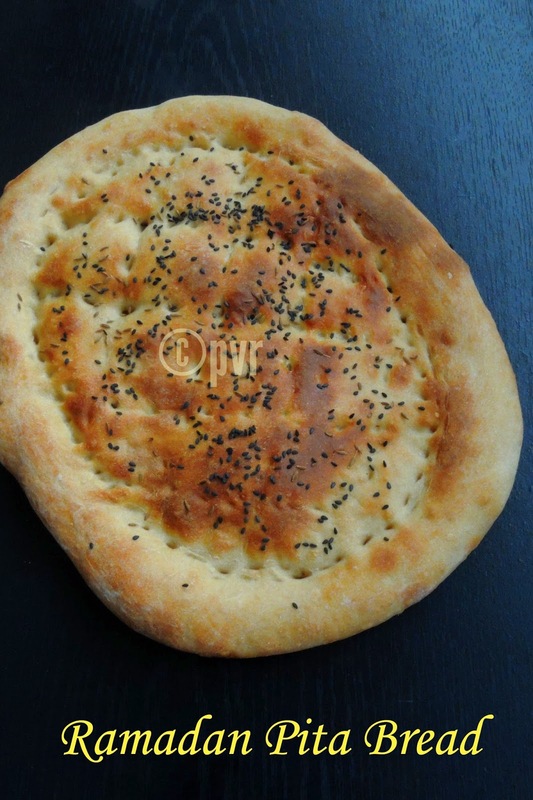 The Ramadan Pita Bread is one such food which is quite famous in all Muslim houses during this special holy season in Turkey.Ramadan pita is a special kind of flat bread that can be found in pastry stores only during Ramadan month. It can be baked with or without egg. 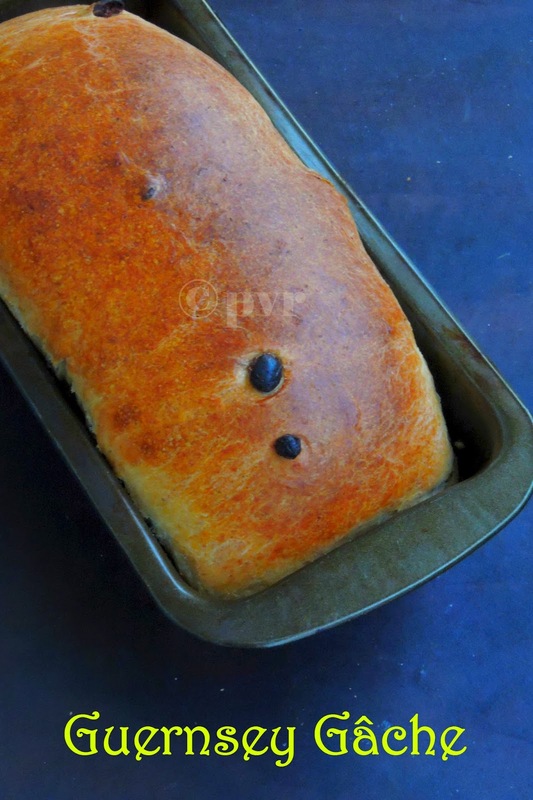 However this bread is easy to make and tastes so delicious. This traditional Turkish bread is widely popular all around Turkey. Every Christmas its been a tradition at home to make Bûche de noël aka Yule log cake for the celebration. 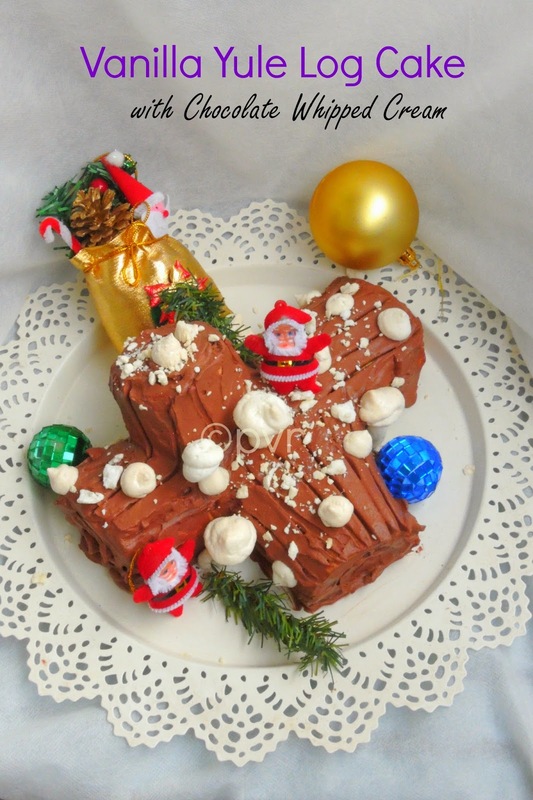 This year we celebrated christmas with my today's post 'Vanilla yule log cake with chocolate whipped cream'. I was eagerly waiting to post this recipe in my space the day i prepared this cake but unfortunately some many things happened during the last week of december and got stumbled with my personnal stuffs. Since i dont want to wait until next december to post this cake, i couldnt resist to write this post for this week's blogging marathon. Personally i felt that eventhough its bit late to post a Christmas cake, am sure this post will be definitely helpful for many of my readers later, in case if they search anything special for the upcoming Christmas. Potatoes plays an important role in French cuisine, you cant separate French peoples and potatoes,as potatoes are as much as like rice for us. Most of their main course goes for potatoes as side dish or as main dish depending upon the sauces served along with. Even though making dishes out of potatoes are easy to prepare, French chefs shares many different type of cooking potatoes. When i picked 1 cuisine three dishes as this week's theme for this blogging marathon, i know i'll be making some French style pan roasted potatoes from French cuisine. Every year,the first sunday mostly 6th january is consider as Epiphany, a christian feast day. This festival is celebrated in France with a king cake which goes either for brioche dough or pastry sheets with almond cream.Apart from almond cream, some of the king cake goes for apple sauce or for pears and chocolates but now many versions exists even people make king cake with nutella now.But our choice is always a rich frangipane filling which is usually prepared with almond powder, eggs,sugar and butter.Eventhough am bit in late in posting, King cake is still available in stores as few makes this cake upto the end of January. 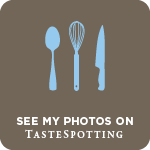 Am running my third week of blogging marathon with fantastic theme,my theme for this week is 1 cuisine 3 dishes. From the list of International cuisine Srivalli gave us, i picked French cuisine, watelse i'll chose. I planned so many bakes during my Xmas vacation but many sudden changes happened and i couldnt enjoy thoroughly my vacation. Anyhow life is unpredictable, nothing will happen if you plan to do. Personally if i plan something i cant do anything in time,now i dont want to plan anything and its my new year resolution. Yes my bitter experience pulled me to think so. Ok let me stop blabbering, am starting my second week of blogging marathon from today and my theme for this week is Kid's delight - Holiday special. 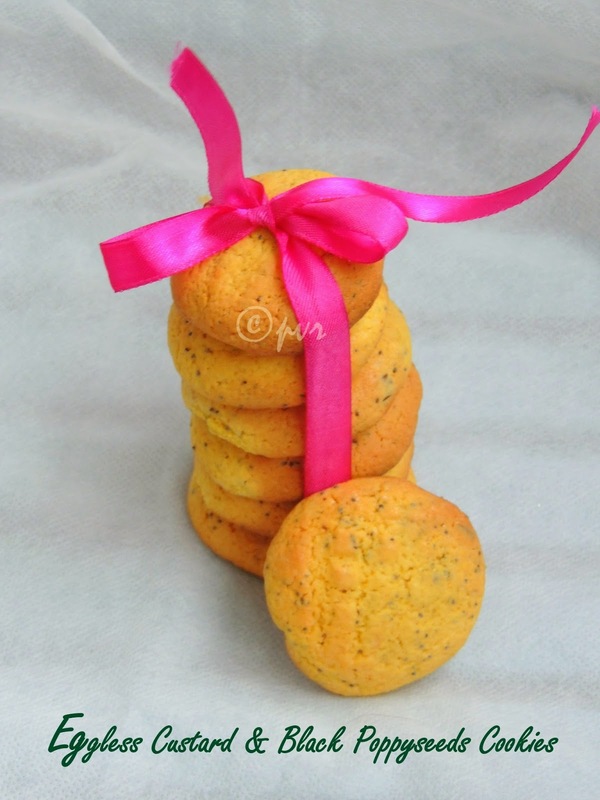 I managed to bake few bakes and one among is this crunchy munchy custard poppyseeds cookies with orange zest and orange juice as eggless one. 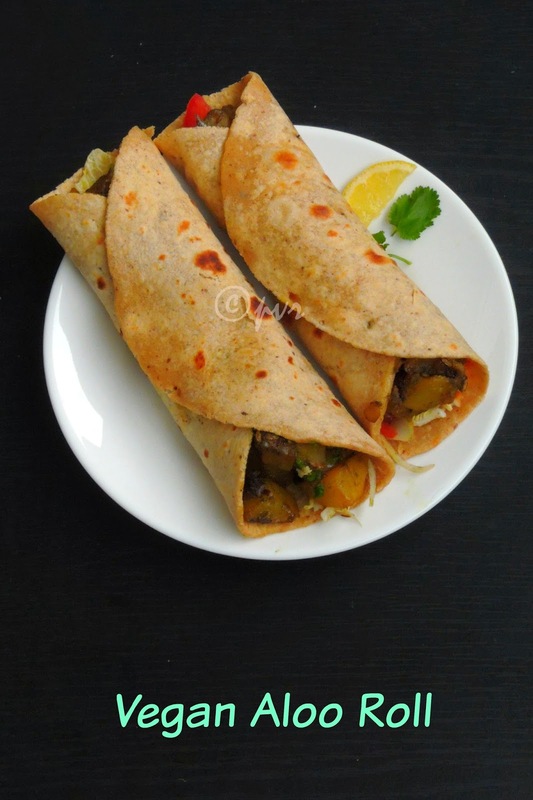 Do you know potato makes excellent replacer for eggs if you are planning to make eggless or vegan bakes. 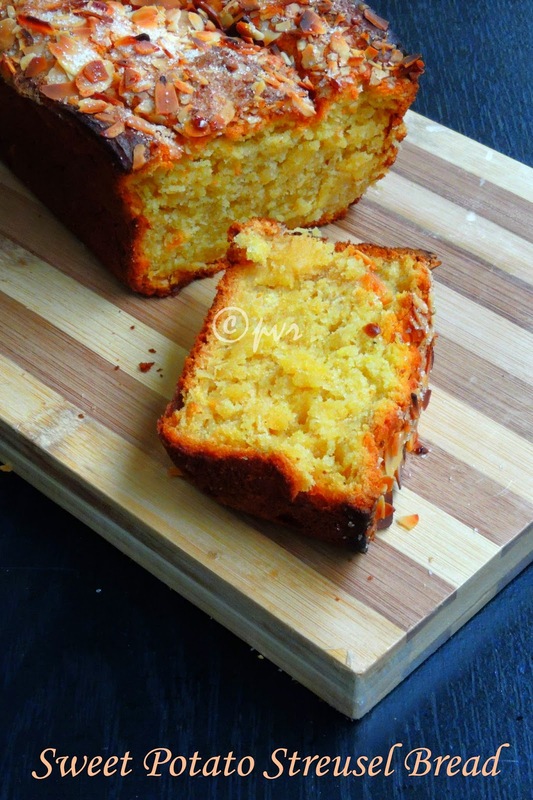 I have tried couple of vegan and eggless bakes with potato obviously sweet potato also makes some excellent bakes. Sweet potatoes are easily available in markets now and i love to grab some kgs of sweet potatoes to cook with, after some chips and a simple curry finally i finished some cooked sweet potatoes for making this quick bread.Since i picked Quick breads for this month's Home Baker's Challenge, a monthly baking event and i suggested some quick breads. Myself and my young one are great fans of thumbprint cookies,we just adore especially the jammy thumbprint cookies. 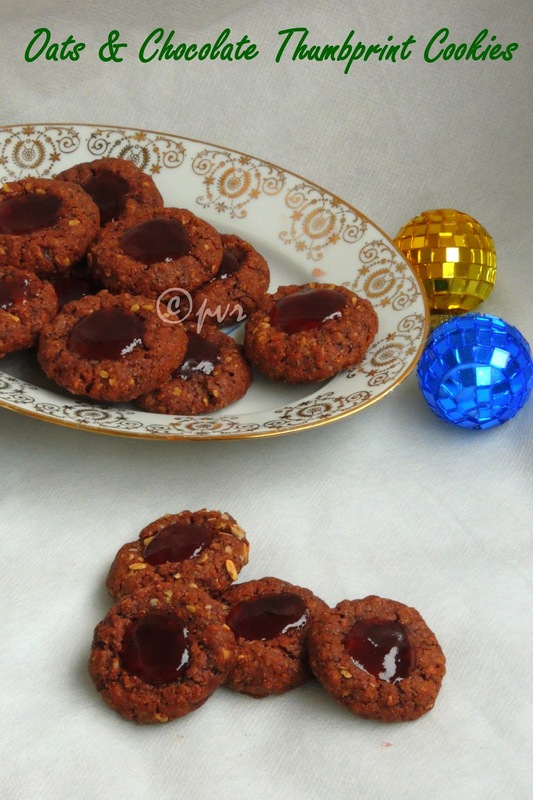 He was asking since a long to bake his favourite jam fille chocolate cookies. Since i want to bake out some cookies during my xmas vacation i couldnt resist myself to bake this oats and chocolate loaded strawberry jam filled thumbprint cookies. Obviously these cuties are eggless but not butter free, if you want to make some scrumptious cookies dont skip butter. Butter plays an important role in cookies and its winter here so we love to add some fat in our daily meal or bakes just to tolerate the nasty chilled weather. Since few days, the weather in Paris is very much down and its quite hard to tolerate. We keep ourself comforting by indulging some fat loaded foods just to make us happy. I have hardly seen people says no to potatoes, this vegetable is everyone's favourite at home. My kids love potatoes in any form and they are ready to have potatoes even everyday. Trust me, french fries are my kids most favourite as like most of the French kids.After Onions and tomatoes, my vegetable basket will definitely have potatoes. This vegetable is versatile,you can just dish out beautiful starter to alluring dessert, if you have potatoes at home am sure you can just dish out a royal feast at home. Coming to today's post, this vegan potato roll can be prepared in a jiffy if you have cooked,cubed potatoes in your fridge. 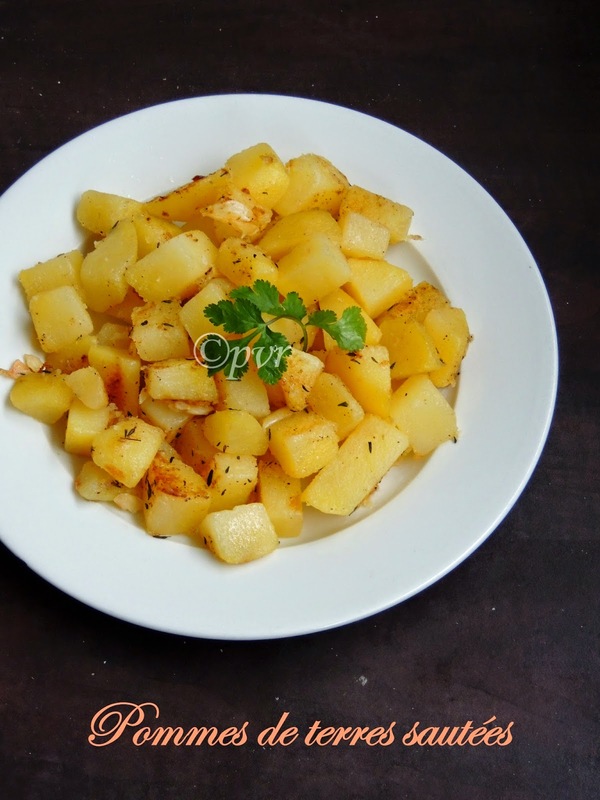 You doesnt need anything apart from chopped onions,freshly grounded pepper powder and salt with oil, your peppered potato roast is ready to be used as filling for making this beautiful peppered potato roast roll. 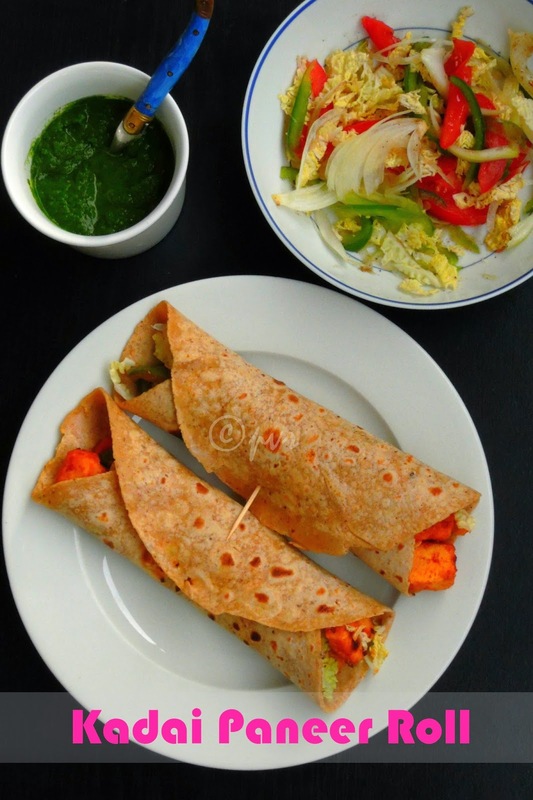 Never been to Kolkatta, but i dont want to miss their famous street food aka Egg Kathi rolls, since these super filling kathi rolls are very easy to make at home. 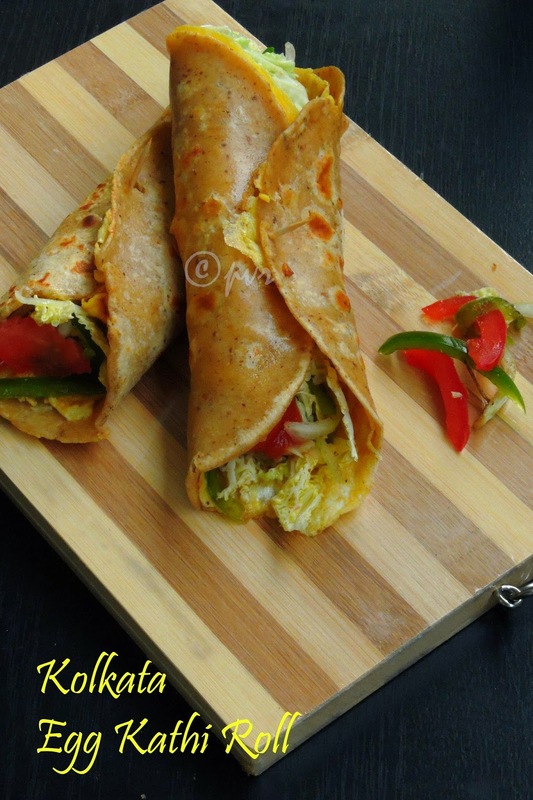 Egg Kathi Rolls is one of the most popular street food in Kolkatta, actually i came to know about this Kathi rolls once i entered this immense virtual world.Actually i learned so many dishes from various cuisine through other foodies who blogs all around the world,blog world does tremendous work to help anyone anytime. 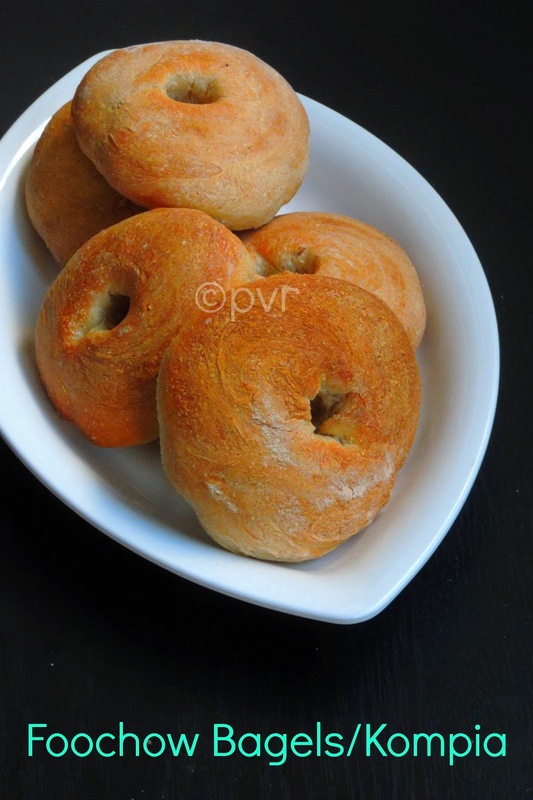 I learned eggless baking, i make awesome breads at home,all credits goes to blog world.Coming to today's post, i have heard that this mouth watering tasty food are sold on every street side in Kolkatta and this roll can be prepared easily with paratha, an Indian flatbread, egg and few chopped vegetables spiced with lemon and chaat masala.